Det. Anthony Mannuzza (left) and police officer Robert Martin of the New York Police Department simulate a street stop during a training session. During the 1990s and 2000s, these approaches were widely credited for bringing down crime rates. But in the years since Ferguson, Mo., charges of racial profiling caused proactive policing to fall out of favor. Some critics say the methods don't even work as well as advertised, and they point to the fact that the murder rate stayed low in New York even after police curtailed the "stop and frisk" tactic (more on that below). And yet in other cities, the rollback of these methods has coincided with disturbing spikes in violent crime. Last week I reported from murder-plagued Baltimore, where the Freddie Gray riots and a Justice Department investigation pushed the department to end tactics that critics labeled "zero tolerance." Former police officials are furious, saying the abandonment of those methods has cost lives. The argument over proactive policing can be politicized, but now the National Academies of Sciences, Engineering and Medicine is trying to make it more scientific. It has just released a comprehensive survey of the research that has been done on the crime-fighting effectiveness of various policing strategies. There's more research to draw on than people suspect. The authors say this is actually a "golden age" of methodical scientific studies of policing, and the report lays out which tactics are backed by the strongest evidence. "Hot spot" policing — targeted patrols of specific trouble spots — is backed by strong evidence. This may be of interest in Baltimore, which ended the old practice of "clearing corners" under pressure from the Justice Department. 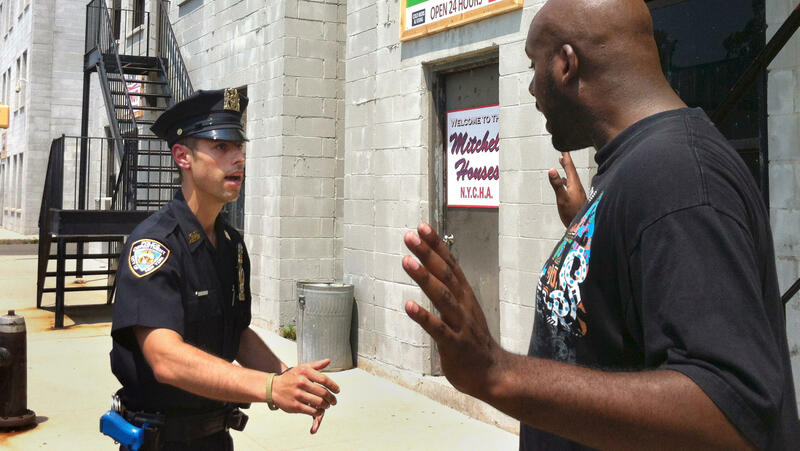 "Stop and frisk" is more ambiguous. There's strong evidence that it works when practiced in violent-crime hot spots, but the evidence is weaker for its effectiveness when practiced throughout an entire jurisdiction. "Broken windows," the notion that addressing small problems can avert more serious crimes, has strong evidence when the tactic focuses on improving a neighborhood, such as cleaning up vacant lots. But when the tactic means widespread arrests of people for certain "quality of life" infractions, the evidence is weaker. The survey includes assessments of other tactics under the "proactive policing" rubric, including up-and-comers such as software-driven "predictive policing" (verdict: too soon to tell). "Several scholars have argued that it is unlikely that any programmatic use of stops, frisks, and arrests could be effective in preventing crime and still survive proper constitutional scrutiny (Bellin, 2014; Meares, 2015). If so, then no department should adopt these strategies. That said, courts have not forced many departments to give up SQF [stop, question and frisk], broken windows, or zero tolerance policing. And other scholars assume that a legal version of these strategies is possible, if departments aggressively use the legal authority to conduct stops or arrests (by encouraging officers to make all possible legal stops and arrests) and still train and supervise officers to avoid unconstitutional conduct (Harmon, 2012b). Either way, legal scholars conclude that deterrence based strategies that employ aggressive stops, frisks, and arrests raise the prospect of increased constitutional violations, and the litigation surrounding these programs supports that conclusion." What long-term effect do these tactics have on a community and its relationship with the police? On that score, the report says more study is needed.